Once again a Sunday post. 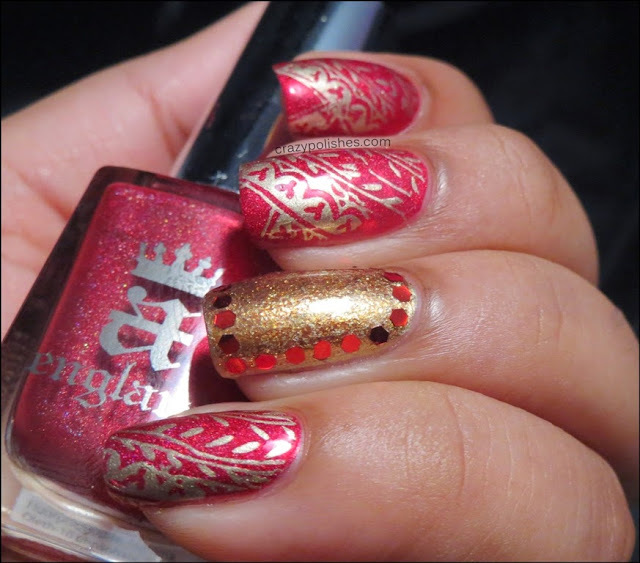 I am a member of an Indian nailart addicts on Facebook "Indian Lacquer Lovers". This group also doa weekly challenge every Monday #ILLnailchallenge and this Monday the theme is "Festive". 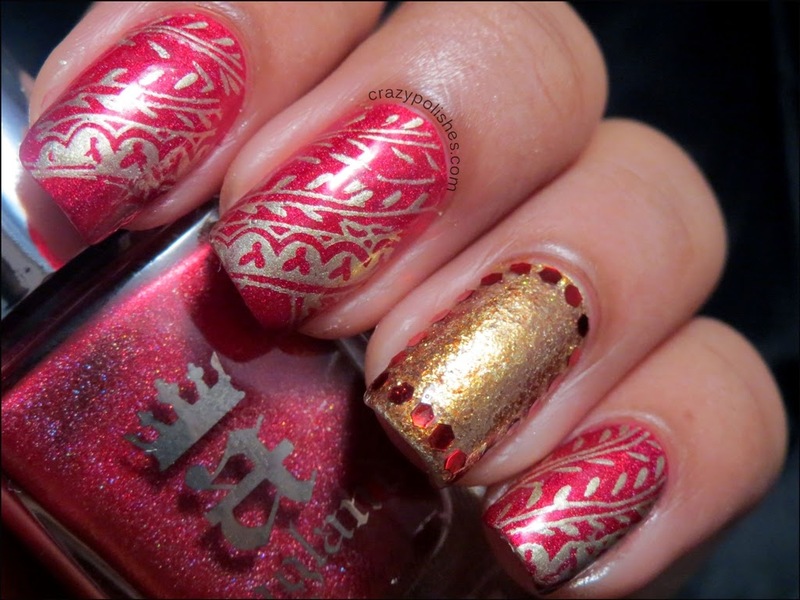 Also today's theme on AiS is "stamping over a holographic base". 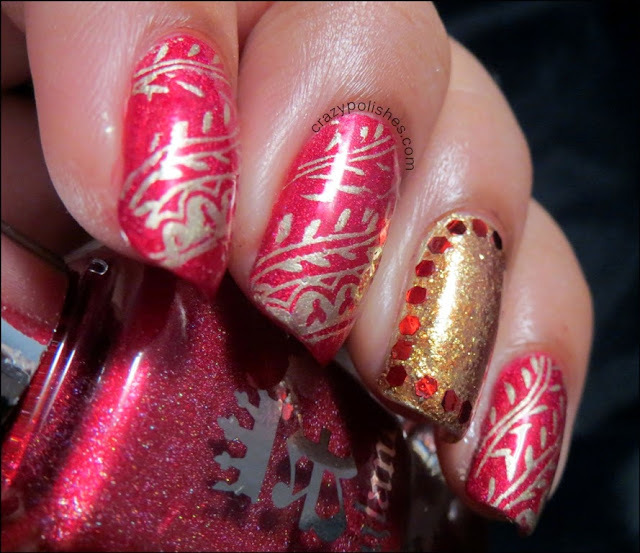 So basically i mixed the two theme and crated a Festive nail art using a Holographic polish as a base. 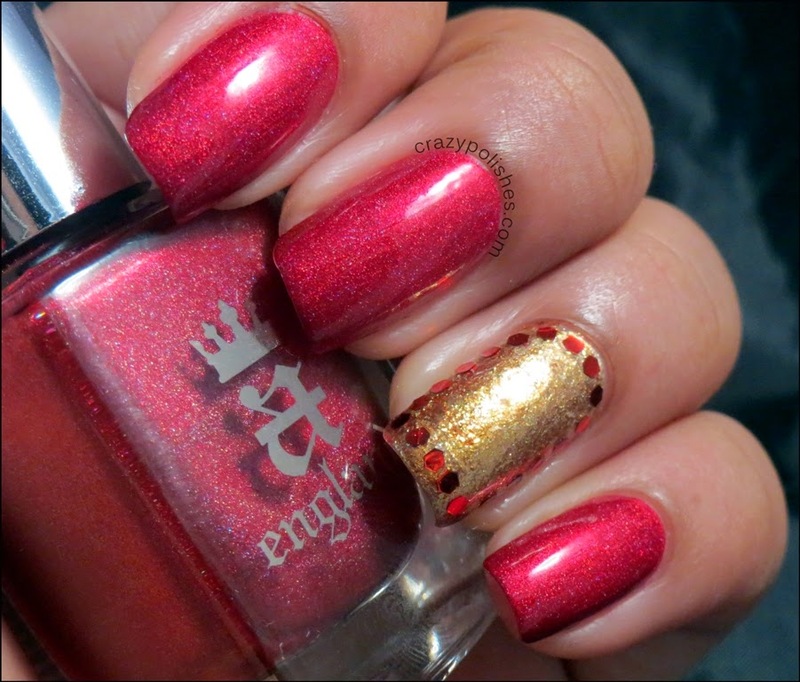 I chose A-England Rose Bower(swatched here) for this manicure because it is red and a subtle holographic polish. 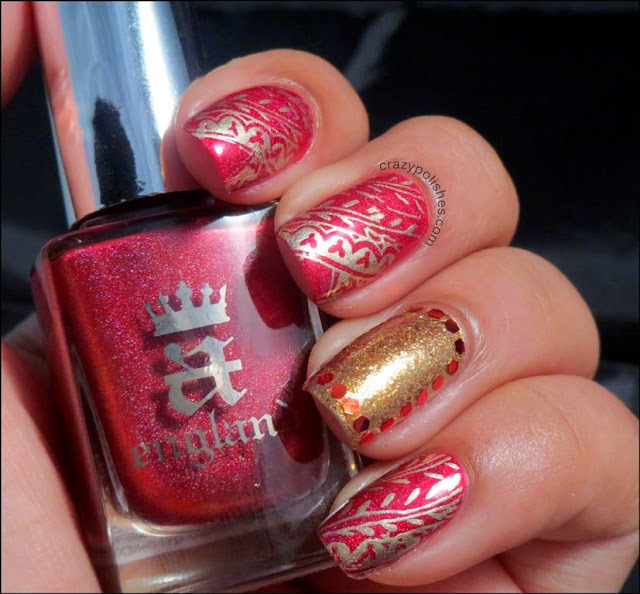 I love this mani as it is but i have to stamp over it for AiS challenge. 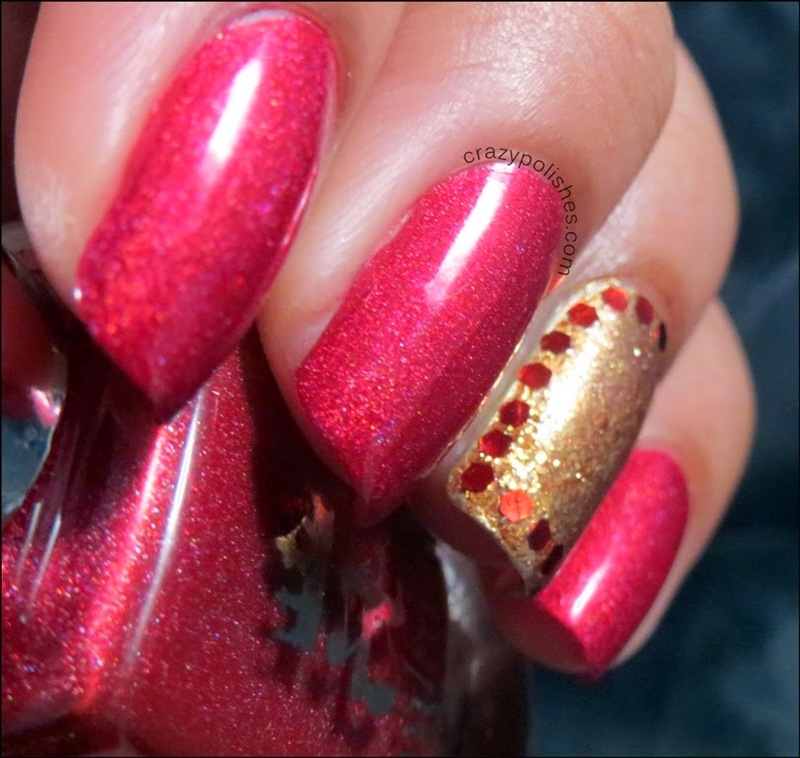 Do you like this manicure.